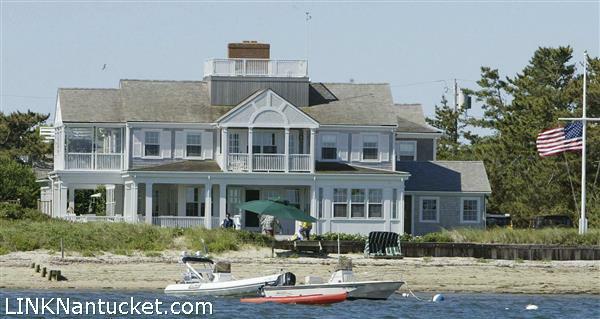 Rare and exceptional harbor front property in Brant Point consisting of a gracious family home with a cottage on a large parcel. 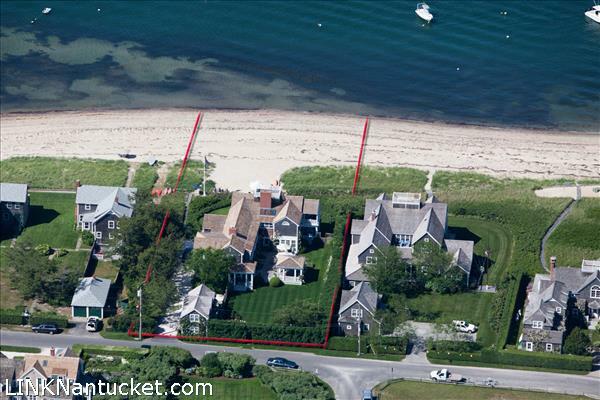 Stunning views, a wide sandy beach and gracious hedged in lawn and gardens contribute to make this a superlative property. First Floor: Entry; sun room overlooking gardens; harbor facing living room with fireplace and french doors leading onto a covered porch; wet bar; side entry; powder room; formal dining room with fireplace and french doors leading onto the side decks; kitchen and casual living space with fireplace and rear staircase; laundry room. Second Floor: Landing; master bedroom with ensuite bathroom, walk-in closet and private covered porch; office with covered porch and staircase to widow’s walk; guest bedroom with bath; two bedrooms with shared bath; office and guest bedroom with ensuite bathroom.